Today the OC Register posted an interesting piece highlighting the Cast Member Choir that is a part of the Candlelight Ceremony. The video includes some footage from some of their several rehearsals as well as the first show of the season on Saturday. 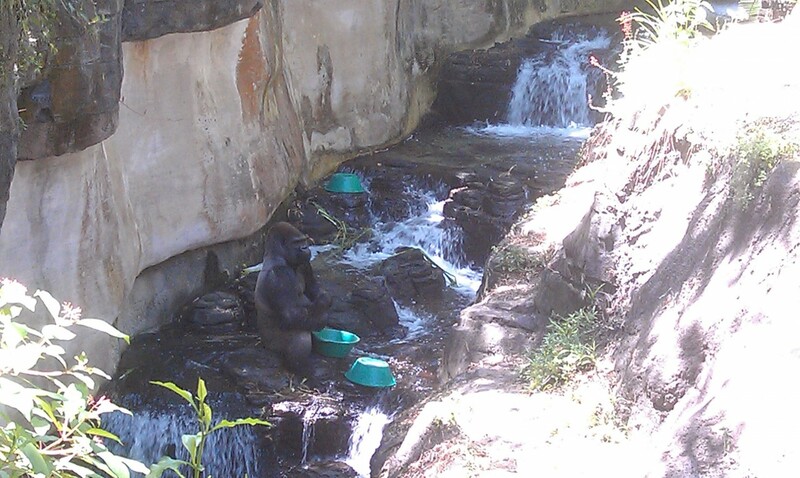 One of the male gorillas sitting in the stream.